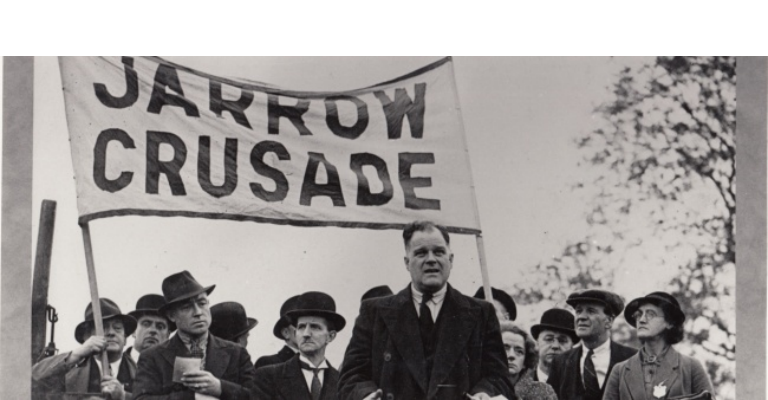 Marking the Jarrow Crusade’s 80th anniversary, this exhibition brings new light to a legendary event that captured the imagination of a nation. The march illustrated the plight of the people of Jarrow, whose shipyard had closed and where government, the banks and employers blocked plans for a new steelworks. As the local Member of Parliament Ellen Wilkinson remarked, Jarrow “provided an object lesson” of what the austerity of the 1930s could do to a town. Outraged at the neglect of the town, the council organised a 300 mile trek to London. The exhibition will reveal details about the 200 marchers from Jarrow: their hardships, their lives, their town and their protest against injustice. It will incorporate archive photographs, artefacts and contemporary footage.